The Hyundai Grand i10 petrol automatic is available in two trim levels - Magna and Sportz(O) - which are the second and the second-last variants in its lineup, respectively. The Hyundai Grand i10 1.2 Kappa Dual VTVT Sportz (O) automatic, which is the top-spec petrol auto trim, is priced at Rs 6.87 lakh (ex-showroom New Delhi, as of May 11, 2017). 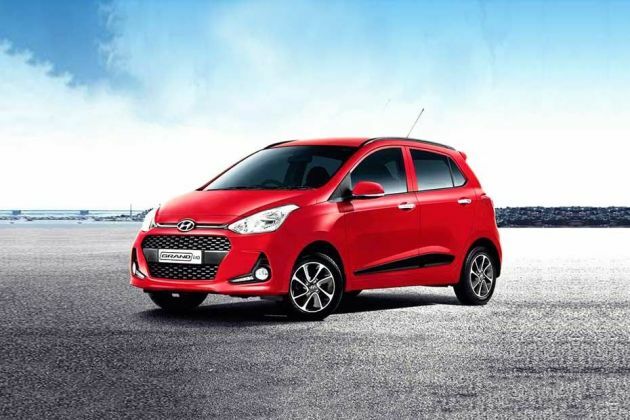 In terms of features, the Hyundai Grand i10 Sportz (O) petrol automatic carries over the goodies of the Magna and Sportz trims and comes with a few additional ones from the top-spec, manual-only, Asta model. It gets LED daytime running lights, side mouldings, roof rails and outside rearview mirrors (ORVMs) with integrated turn indicators. Also offered are chrome accents on the gear lever and handbrake lever, manual air conditioning, electrically-foldable ORVMs, a cooled glove box and tilt-adjustable steering. Further, it features Hyundai's latest 7.0-inch infotainment system with Apple CarPlay and Android Auto smartphone integration and MirrorLink connectivity. The unit is coupled to a 4-speaker system. As far as safety is concerned, the Grand i10 Sportz (O) automatic comes with dual-front airbags (driver and front passenger) along with ABS (anti-lock braking system). It rides on 14-inch diamond-cut alloy wheels with 165/65 cross-section tyres.